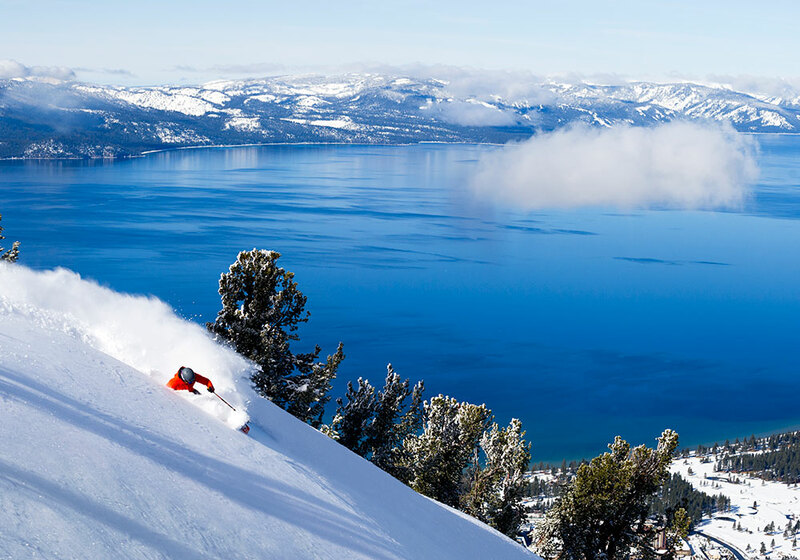 RENO-TAHOE TERRITORY, Nevada — Game on for those looking for quick wintertime action that’s easy to reach as it serves up boundless freedom and adventure. But this place is not for the bystander because the time is now to discover why Nevada’s nostalgic old west frontier is a spirited winter wonderland getaway. Starting with the adventure hub of America, Reno/Sparks presents some fast emerging local secrets and highly recommended active pursuits preparing travelers with a strong start before they head out beyond this gateway town. This area of Northern Nevada remains advantageous on many fronts with this hub being so close in proximity to its neighbors Lake Tahoe, Carson City, Virginia City and Carson Valley. 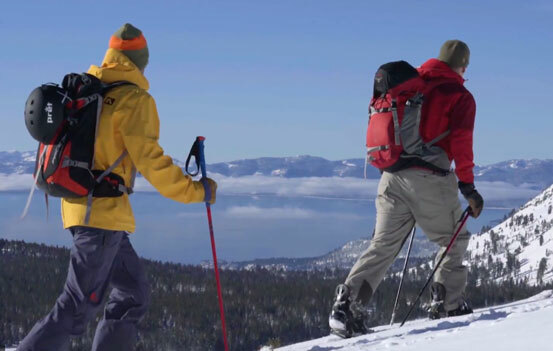 Ask any local skier from Reno Sparks to name their favorite area ski resort and Mt. Rose will be named. Hear about the terrain for all abilities and for the avid, it’s the steep and the ton of snow but it’s also the closest, only 26 miles from Reno. With some of the best views of the Truckee Meadows and Lake Tahoe, the slope side parking is a convenient aspect. And for those who’d rather not strap a piece of wood to their boot to cruise down a mountain, there are plenty of favorite spots for a snowshoe experience. DETAILS HERE. Every December a special and classic holiday tradition takes place in this area of Nevada and it’s called Spirit of the Season. The Reno Philharmonic Orchestra and conductor Dr. Jason Altieri will welcome special guests to kick off the season with a variety-style combination of performers to include singers, dancers, Santa Tappers, and Santa Claus. DETAILS HERE. 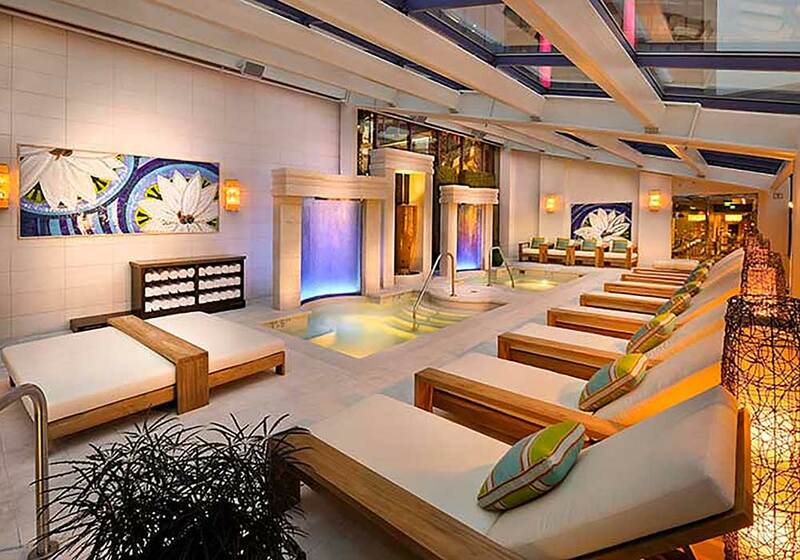 Where ever your adventure takes you, there’s first-rate relaxation and restoration amenities nearby! Unwind at one of the many popular Reno Sparks world-class Spa Resorts, a perfect remedy after an action-packed day and to renew the spirit. Each specializes in its own unique services and treatments, DETAILS HERE. “Gimme an Icky” is part of the local language in this part of Nevada and take a sip of history at the State’s oldest operating and most award-winning brewery, Great Basin Brewing Company. With a tasty menu served at both Reno and Sparks locations, enjoy more than a dozen of these local made world-class micro brews on tap including the Icky IPA which contains a blast of Cascade hops and is named after the Ichthyosaur. Get off the beaten track for this exclusive shopping experience of the original west frontier. Start with fresh coffee from the Roasting House and then head to Grandma’s Fudge. Inspire your imagination with an old time portrait, authentic western clothing and the beautiful local craft Native American jewelry at White Buffalo Turquoise. Details HERE. The late 19th century Piper’s Opera House served as one of the centers of buzzing entertainment activity in the Comstock and the West. Today this cultural heritage location continues to feature live performances and tours as it remains a town favorite. It will host the annual Father-Daughter Day & Dance in February. Details HERE. The Rocky Mountain Oyster Fry takes place in March and it’s where travelers can literally have a ball. This event is near three decades in the making and each year, more than 3,000 daring connoisseurs sample tasty testes from cooks competing for the title of Best Rocky Mountain Oyster Cook in the West. The Ball Breaker Saloon Crawl and St. Patrick’s Day Parade top off this all-out Irish celebration. Details HERE. 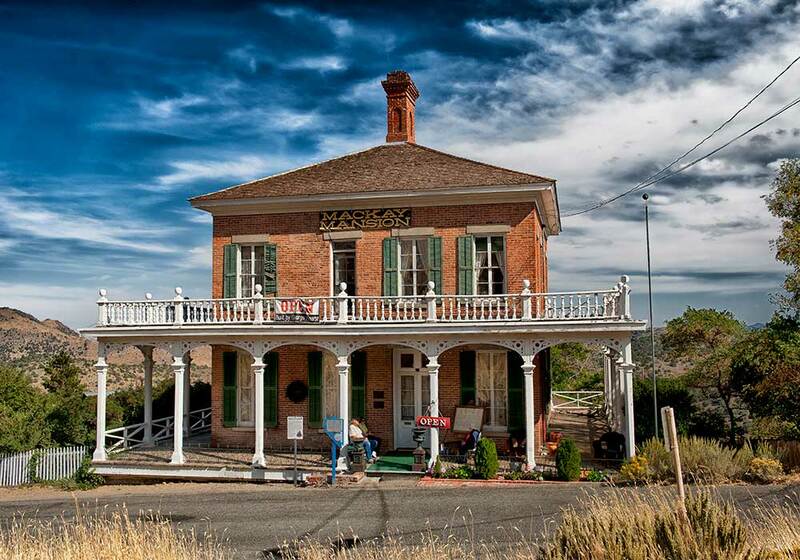 The 1863 Comstock House was taken over by hippies in 1965 and today, it houses the Red Dog Saloon & Pizza Parlor, a Northern Nevada favorite with an expansive menu, open mic night and live performances. It’s where the legendary rock singer Janis Joplin made an appearance in 1968 with the house act Big Brother Holding Co., which became her backup band. Details HERE. Washoe Indians, emigrants and settlers soaked in this spring in its natural state and today, Carson Hot Springs continues the ‘taking the cure’ custom, which people brought over from the old country. Experience the curative properties of thermal spring water with daily soaks in hot pools, additional therapy through the application of hot mud from the area, and glasses of spring water. Details HERE. 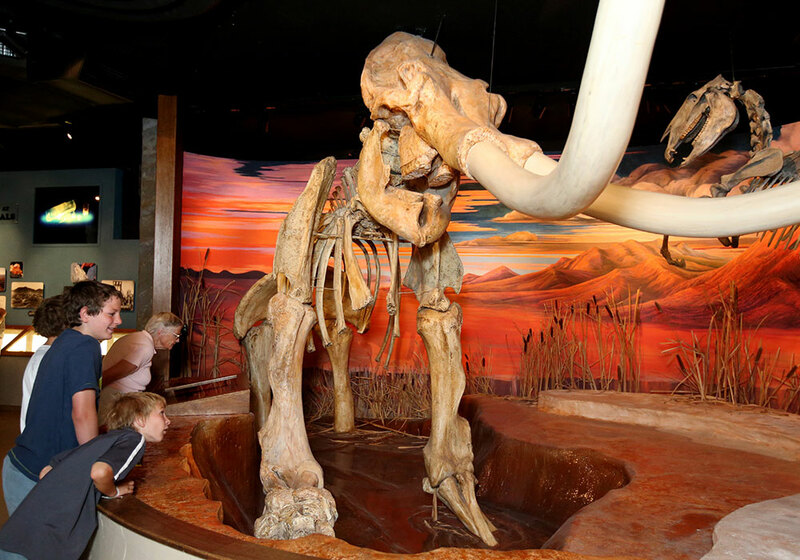 Gain a deep understanding of the State’s natural and cultural heritage at the Nevada State Museum. 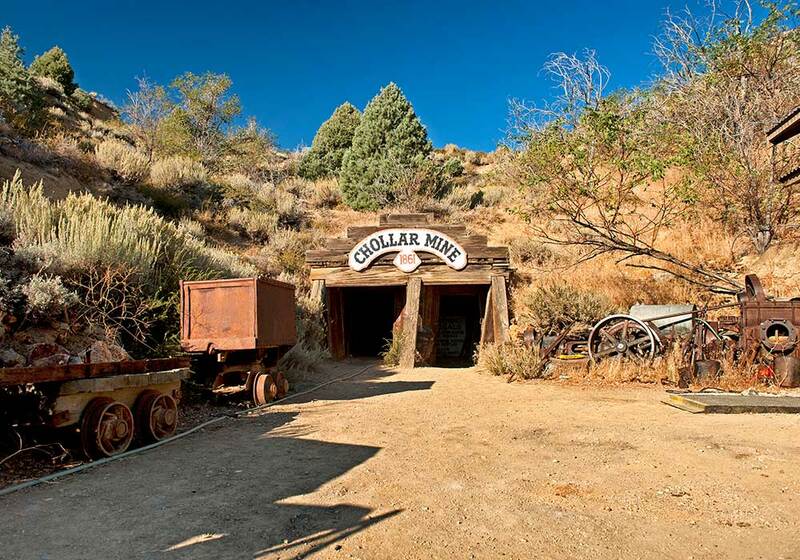 From history walks, a coin press at the Carson City Mint building, and monthly topical exhibits, the museum offers guided and behind the scenes tours for an interactive and educational experience. Details HERE. 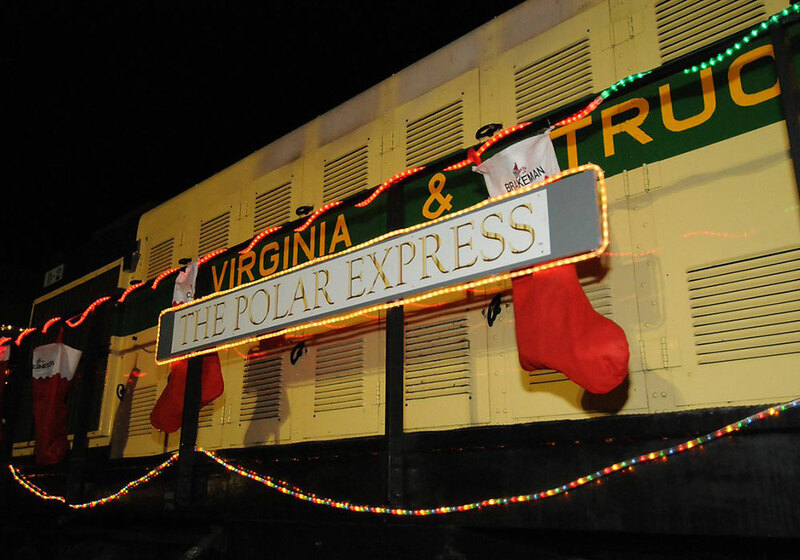 High in the red rocks of western Nevada, the V&T Railroad runs a 100-year-old steam locomotive to carry weekend passengers and during the holiday season, take your family on the unforgettable Polar Express Train. With characters, entertainment and Santa to bring the story to life, passengers receive a souvenir silver sleigh bell to remember the journey. Details HERE. Sassafras at the historic Carson Hot Springs Resort is an eclectic food joint serving up a creative menu and cocktail selection and featuring fresh handmade sauces. Details HERE. The annual Topaz Lodge Fishing Derby kicks off New Year’s Day and runs thru mid-April. Catch any trout weighing 2-pounds or more to get free slot play and drawing entries for cash, gear and more. Details HERE. 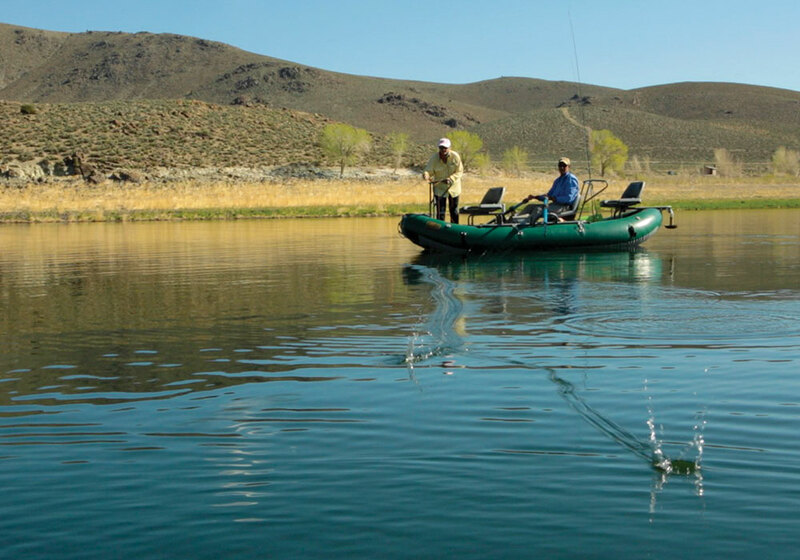 Expert fishing tips and conservation education combine to make this guided trip with the Angler’s Edge a must-do on Topaz Lake. This area of the world features a spectacular oasis between the arid Great Basin and the towering Sierras for water sports, fishing and camping. Details HERE. 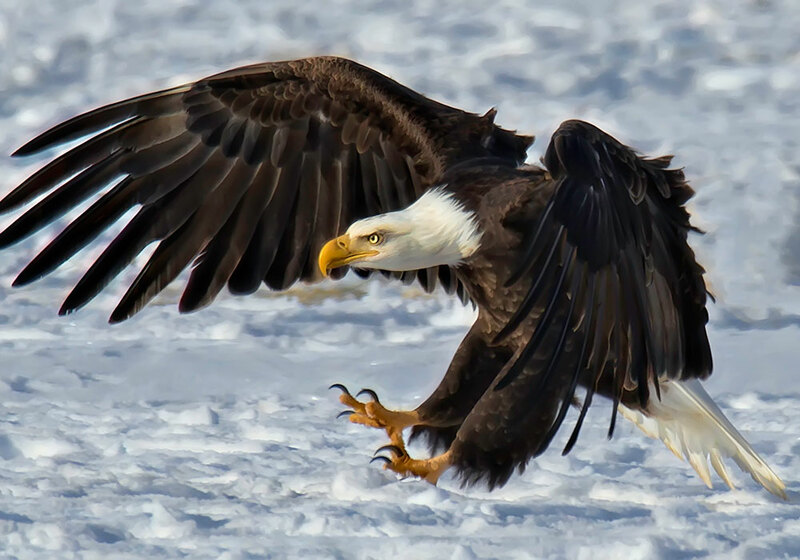 The more we learn the more we live manifests with the Eagles & Agriculture annual celebration where Valley ranchers join hands with the Audubon Society, Nature Conservancy, local Chamber and University to host the 4-day event in late January. Story-telling experiences include the Falconers Dinner with raptors present, eagle viewing at family ranches, tours of the Wetlands, Raptor Highway or Byway, and the Owl Prowl. Details HERE. CV Steak inside the Carson Valley Inn offers well-known signature dishes and a Nevada-style steakhouse experience. Historic photos hang above each dining booth to recount the earlier times of Minden and Gardnerville all within the intimate ambient lighting. Details HERE. 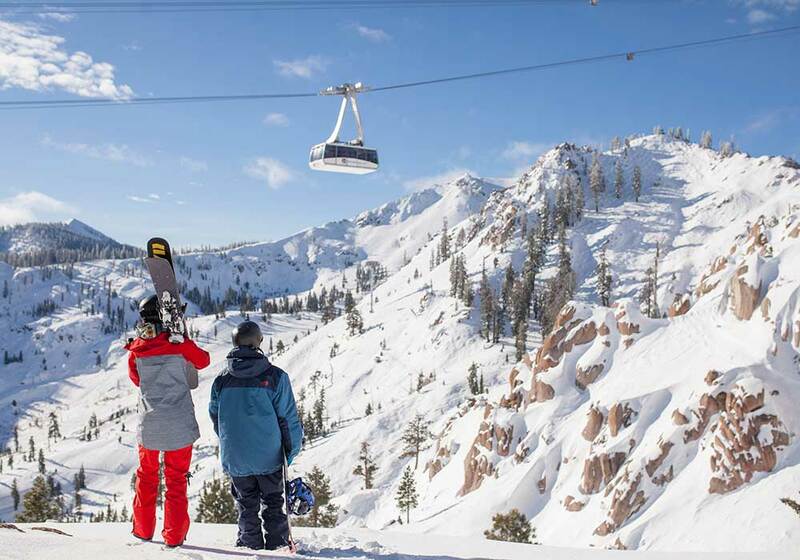 The world-class skiing terrain at Heavenly Mountain Resort spans the California-Nevada border showcasing fantastic views of Lake Tahoe. And for snow play fun, there’s a 500-foot long tubing hill with a magic carpet to take you back up to the top. This must-do mountain experience truly offers something for everyone. Details HERE. 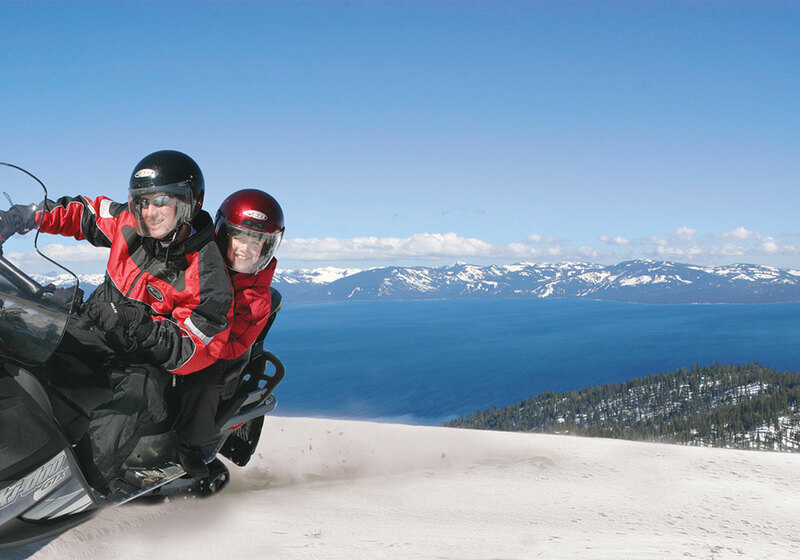 Cruise over snowy mountain meadows to 9,000 feet (2750 m) tall peaks in a snowmobile. The Zephyr Cove Resort Snowmobile Center offers several tours from the stunning scenic lake view and full moon to the Let’s Ride tour for serious riders. Note this spot has clothing rentals, a complimentary shuttle service and kids ride free. Details HERE. For Tahoe-style casino and arcade action head to Stateline, glitz free and with endless action plus big-name entertainment. The non-smoking Family Fun Centers feature a variety of the newest technology in video and redemption games perfect for the entire family. Ciera Steak + Chophouse is a recognized AAA Four Diamond Restaurant with Prix Fixe menus featuring legendary favorites at an affordable price. Your experience is complemented by an international selection of 300 wines and champagnes. Details HERE. 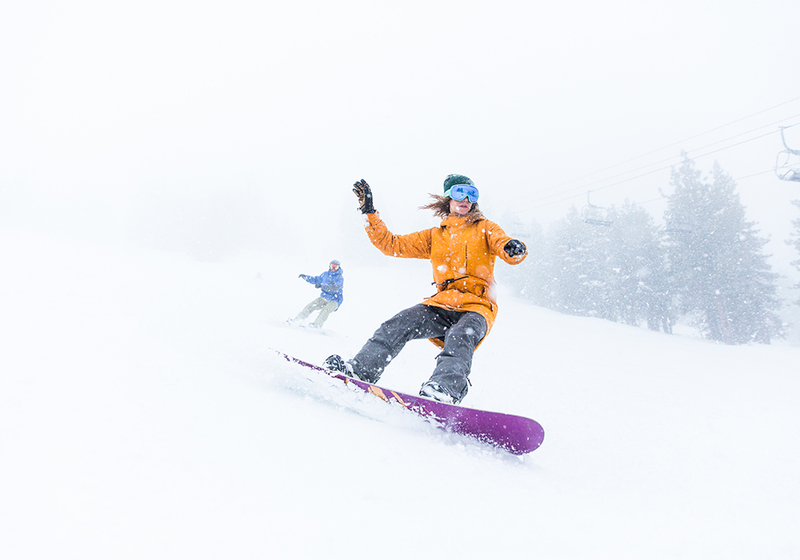 Discover the welcoming community-owned ski resort, Diamond Peak, located in Incline Village with its miles of crowd-free runs and easy access parking to slopes. Take in the breathtaking lake views and improve your skills at the renowned ski school, all of this at an affordable value. Details HERE. Party up close and personal with top-named entertainment on the intimate stage of Crystal Bay Club’s Crown Room. Known as the ‘Epicenter of Lake Tahoe Entertainment’ this trendy casino delivers hospitality and ambience for a memorable time. Details HERE. Sleigh ride across the pristine wilderness at Sand Harbor Nevada State Park where you’ll absorb the natural beauty, panoramic views and towering pines. Adventurists, romantics and history buffs can all enjoy one of the last undeveloped areas of the Tahoe shoreline. Start at the Visitor’s Center where friendly park rangers will share educational historical tidbits before boarding your horse-drawn carriage. Details HERE. Hyatt’s Lone Eagle Grill with it lakefront views, passionate staff, cozy indoor and year-round outdoor fire pits is know for its seasonal high-Sierra cuisine. Reflecting the local tastes of each current season ingredients, the setting is reminiscent of a classic Tahoe lodge with its two-story stone fireplace. And the Lone Eagle Lounge greets guests for late night food and a seasonally changing cocktail menu. Details HERE.